Under Capricorn is likely not the first film that comes to mind when one thinks of Alfred Hitchcock, yet it says something about the man's talent when a film this good is among his worst films. I use the term "worst" in comparison with the rest of his stellar filmography, because Under Capricorn is by no means a bad film, but it doesn't quite measure up to the master's greatest triumphs. It often feels like Hitchcock on autopilot, perhaps due to the similarity of its plot to the director's own Rebecca from 9 years earlier, the only Hitchcock film to ever win the Academy Award for Best Picture. 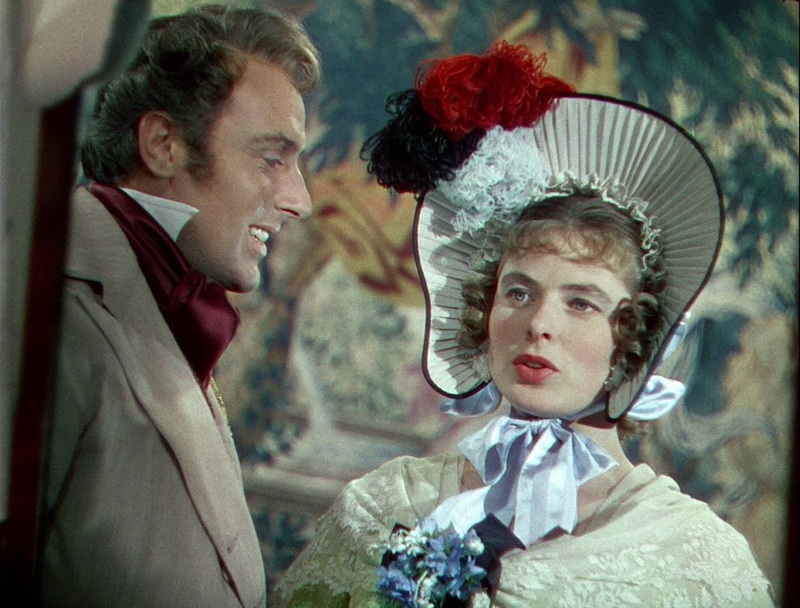 Set in Australia in 1831, Under Capricorn stars Ingrid Bergman as Lady Henrietta Flusky, the wife of a former convict turned wealthy landowner named Sam (Joseph Cotten) who begins to fall for Charles Adare (Michael Wilding), charming Irishman who has immigrated to the continent to begin a new life in the territory governed by his uncle. Charles is instantly drawn to the enigmatic Henrietta, but her alcoholism hides a dark secret, jealously guarded by her jealous housekeeper, Milly (Margaret Leighton) who may or may not harbor feelings of her own for Sam. Although the film was based on a novel by Helen Simpson, which was then adapted into a play by John Colton and Margaret Linden, the jealous housekeeper subplot feels like reheated leftovers from the superior Rebecca. That doesn't stop Bergman delivering a fiery performance as a woman saddled with a lifetime of guilt whose only release is through a bottle. Under Capricorn is also one of Hitchcock's most beautiful films, mostly due to the work of legendary cinematographer, Jack Cardiff (The Red Shoes). Cardiff's trademark Technicolor brilliance paints the screen with vibrant colors, stunningly rendered in the 4K restoration featured on the new Blu-Ray edition from Kino Lorber, which at last rescues the film from bleary obscurity. Cardiff, perhaps the greatest cinematographer of all time, who brought such breathtaking life to the films of Michael Powell and Emeric Pressburger, seems a perfect fit for Hitchcock's period aesthetic, as the two explore more of the single-take shots that defined Rope just one year prior. This style ultimately proved too difficult for the world of Under Capricorn, but the film does feature some striking tracking shots that pull us seamlessly into the world of 19th century Australia, when the veneer of high society barely masked the young nation's troubled roots, whose citizens seek an escape from their reputation as a nation of criminals. There's certainly a lot to admire here. While the film was marketed as yet another Hitchcock murder mystery, Hitch himself envisioned it as a drama, and constantly pulls the focus toward the inner life of his characters. In the end, it was yet another box office failure for the master of suspense in a string of flops, but part of that can be attributed to the film's misleading marketing. Hitchcock was trying something new here, a melodrama where the terror comes from within, from the rot created by burying secrets, both for Henrietta and for the nation of Australia as a whole. But despite its sumptuous stylistic departure, it never quite escapes the feeling that we've seen Hitchcock tackle similar themes in superior ways, and Under Capricorn deservedly takes a back seat to some of his more well known masterpieces. 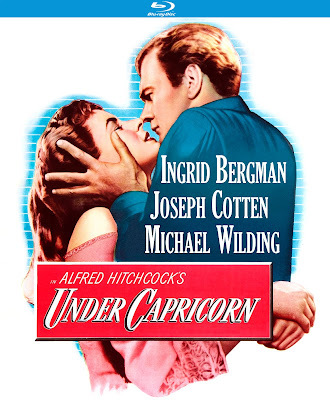 UNDER CAPRICORN | Directed by Alfred Hitchcock | Stars Ingrid Bergman, Joseph Cotten, Michael Wilding, Margaret Leighton, Cecil Parker, Denis O'Dea | Not Rated | Now available on Blu-Ray and DVD from Kino Lorber.